Northside Roofing completed this major distribution centre for Caterpillar Logistics Inc. in 2013. 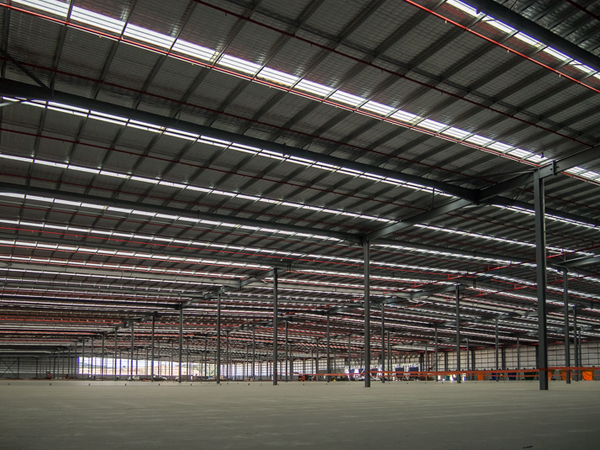 The distribution centre, located on a 21 hectare site at Yatala, between Brisbane and the Gold Coast, has a gross floor area of 55,500m² and is is the largest industrial or commercial construction ever undertaken in the area. The project involved the establishment of a Warehouse, two storey ancillary Office, Future Expansion area, and Outdoor Storage/Hardstand Area compromising approximately 96,500m², will act as a major Distribution Centre for Caterpillar within Queensland and a prominent feature within the Yatala Enterprise Area. The centre will be a vital link in the Cat distribution chain and will greatly support the distributors in Australia.